We went to Subic last weekend. I was planning to have another go at flyboarding in Networx Jetsports, and to make the trip less hectic and get more chances of better light (the Subic freeport, which was a former US naval base up to the 80s, faces west so it's hard to take photos near sunset) we made the trip an overnight one. 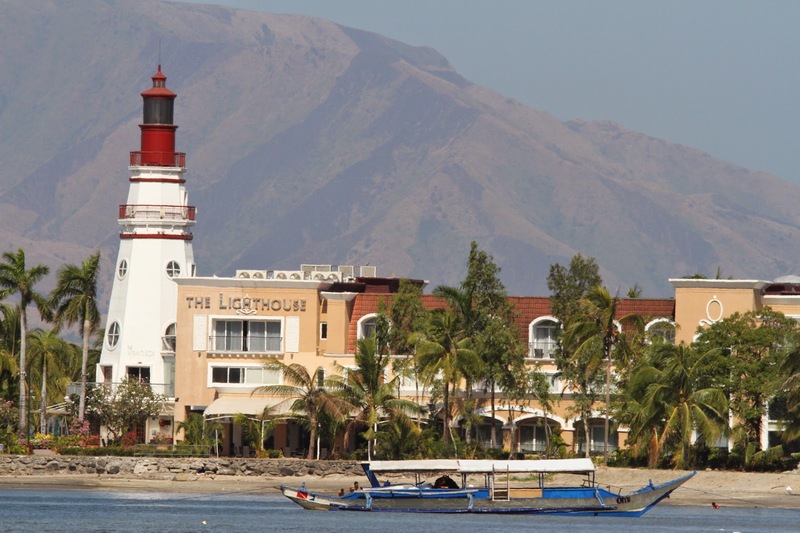 We booked a hotel along the Subic boardwalk, which is very near the Networx facility. We arrived there in the afternoon and after checking in went around to check the freeport and also walk along the boardwalk. I also checked on Vince, the manager of Networx, about the flyboard but it turned out they lack some spare parts for the machine, so tough luck. Not that it's wasted though, as I decided to just jetski the next morning. 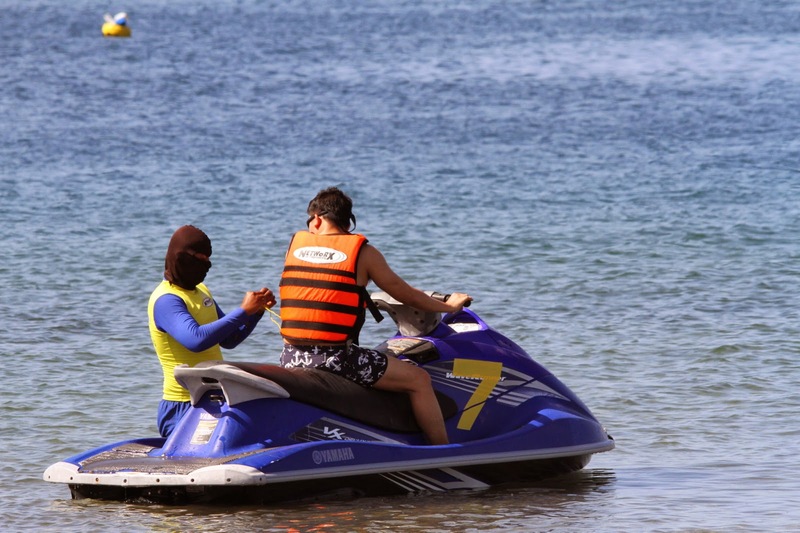 I've tried jetski before, in Canyon Cove in Batangas (turns out Networx is now managing the water sports facilities in Canyon Cove), and I find it exhilarating, and I'm glad I'd be able to do it again. After a good night sleep (as well as most of the evening spent walking up and down the boardwalk playing Ingress and attacking augmented reality portals) and a nice Filipino breakfast at a nearby restaurant, I got suited up and assigned my jetski to ride - a blue Yamaha Waverunner. To say that the ride was fun is such an understatement, and I'm tempted to use cliches such as "need for speed" in sentences detailing it. I have an hour to kill and I was more than happy to go around Subic Bay to do just that, zipping over the waves with the wind blowing in my ear and the salty spray on my face. The waves are rougher the further I go out to the sea, but the Yamaha took it whenever I press it to go faster. I don't know how to do acrobatics like the professionals do but I think I'd experienced the jetski skipping over the waves. I made tight turns and tried varying my ride by crisscrossing the imaginary circuit delineated by buoys (which I hit one at some point). I also went faster this time, as I don't have any passengers with me, unlike that in Canyon Cove. 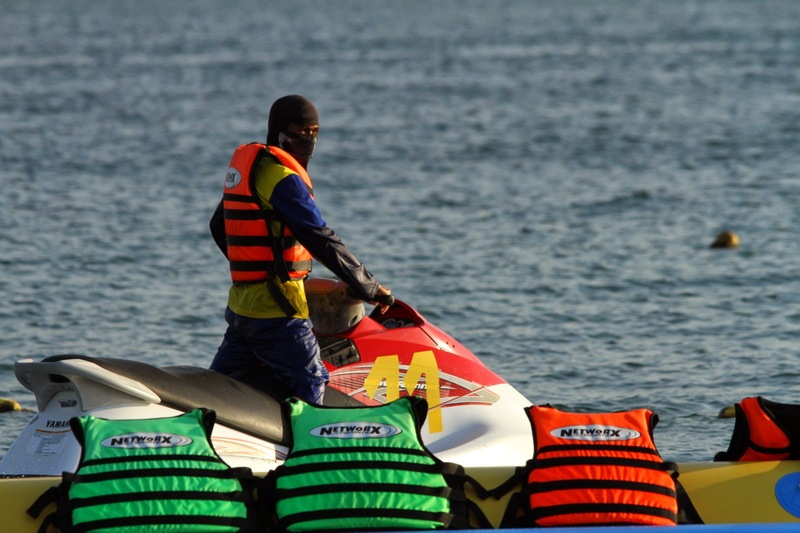 My adrenaline was still pumping long after I eased the jetski into the beach right after I got the signal from the tender that the time is up. We chatted with Vince again and made plans to go back as soon as the flyboard is available, then we went back to the hotel to rest before driving back to Manila to end the great weekend. 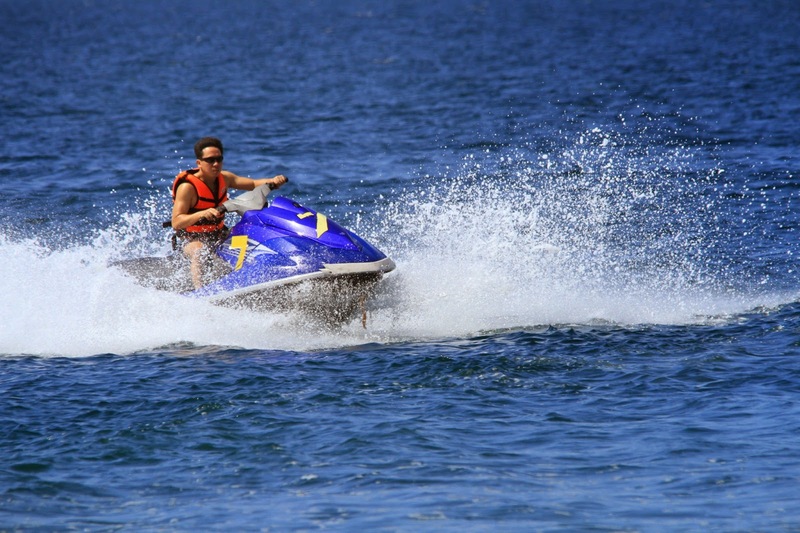 Networx Jetsports is located along the Waterfront Road in Subic freeport in Zambales. If driving from Manila the fastest was is through the North Luzon Expressway then the SCTEX to Subic. If commuting there are several bus lines plying the Manila-Olongapo route. From Olongapo take a cab to Subic. 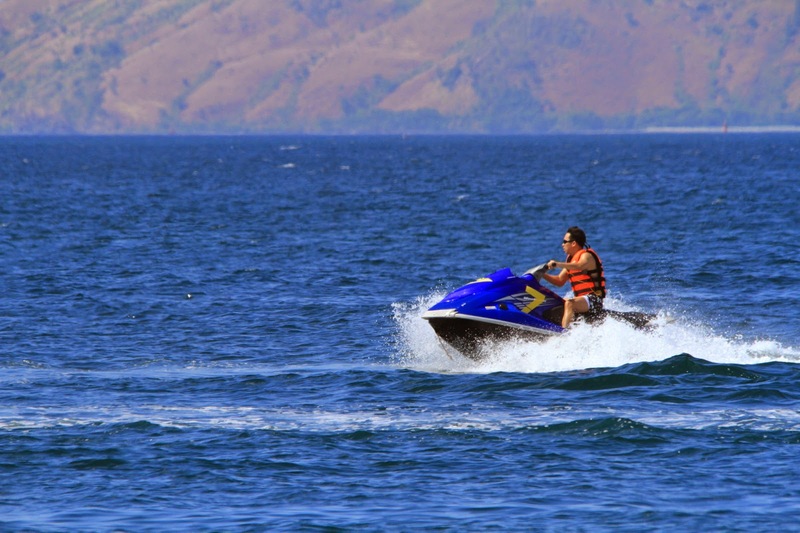 The rent for the jetski is PhP 3600 for one hour, PhP 2000 for 30 minutes. They have other rides and water sports equipment for rent, such as banana boats, parasailing, yachts, and of course, flyboards. Website: http://www.www.networxjetsports.com.